IWF 2018 Recap- What's Next? 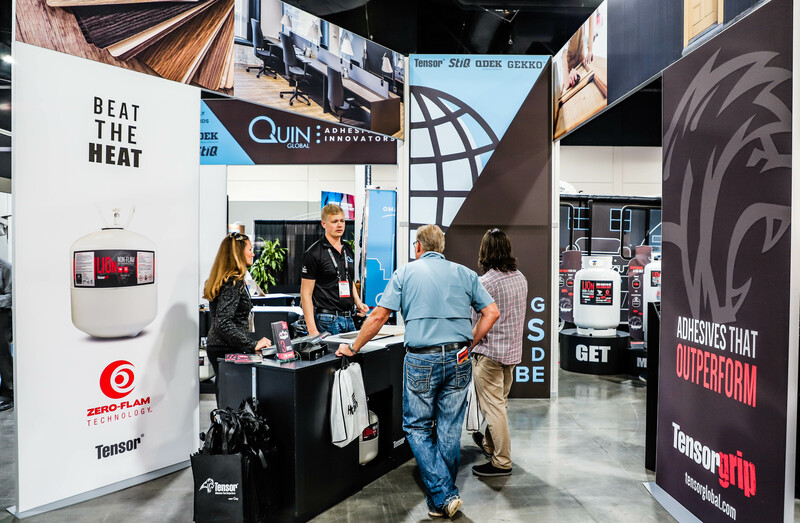 With the whirlwind of IWF 2018 now behind us, we’ve had some time to reflect on what a great experience the Atlanta show was, and what's next for Quin Global. The International Woodworking Fair, held biyearly, is one of the world’s top woodworking trade shows across all related industries. Due to the heavy impact of the US financial crisis and subsequent housing collapse on the industry, the last several years for IWF have naturally been more subdued. This year’s fair, however, held at the Georgia World Conference Center, had an overall feeling of revival. 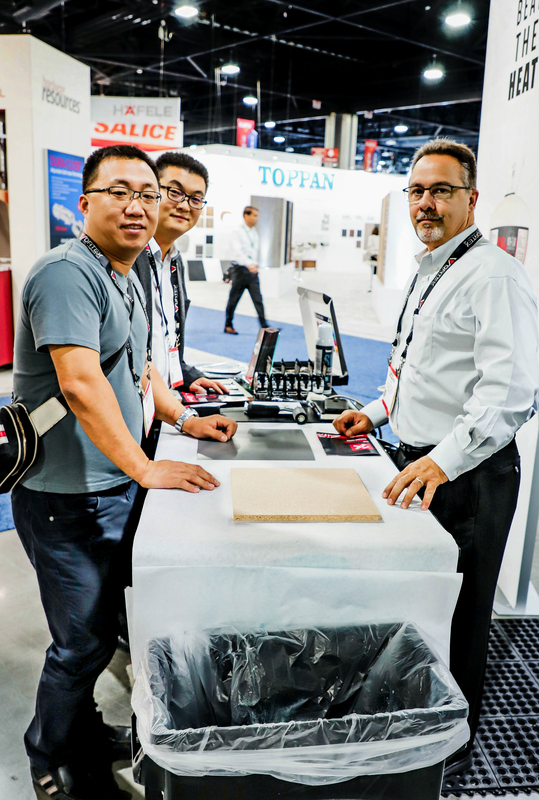 As a global manufacturer, Quin already has three international locations with our sights on more as we prepare forrapid expansion in the coming year. Our sales director, RobHalverson, made new connections with foreign distributors, and even found opportunities to recruit for the Quin sales team with so many driven individuals in attendance. Speaking with such a diverse group of attendees has given us a better perspective on where we can provide greater coverage and support to adhesive users. Truly living up to its name, IWF this year brought in distributors and industry professionals from all across the world. 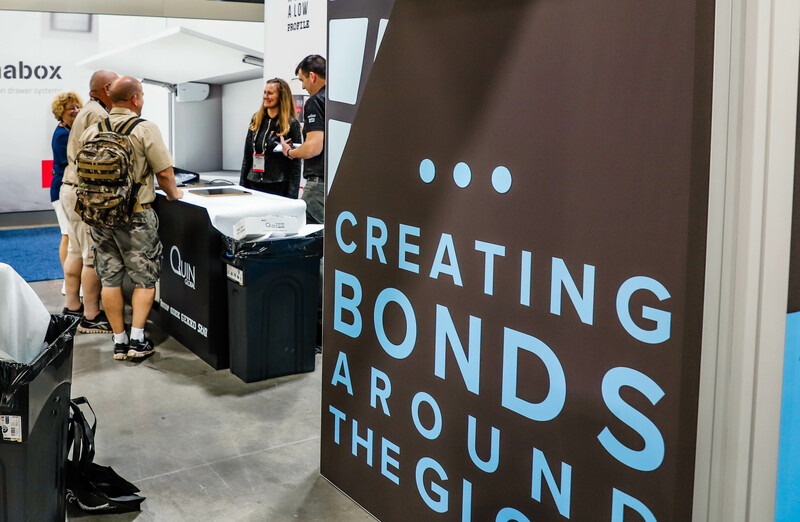 When we say we're creating bonds across the globe, we mean it. 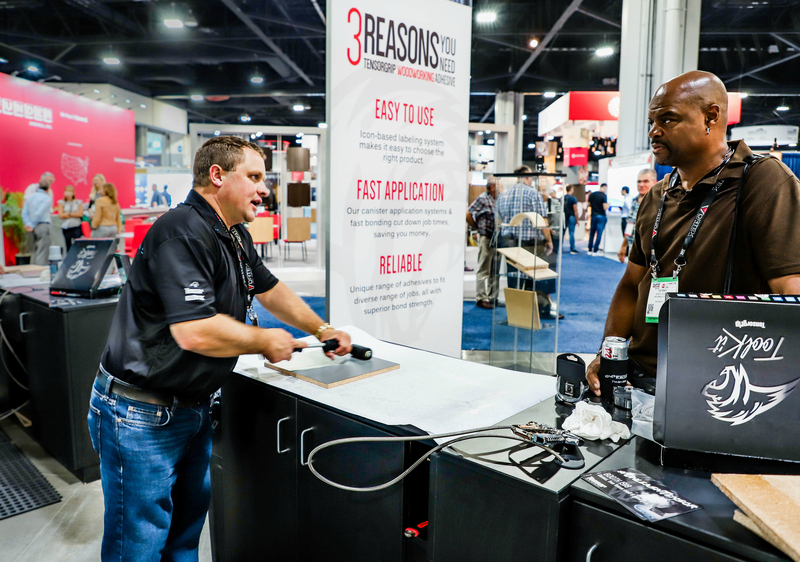 Overall, IWF 2018 gave us renewed insight on the vitality of the woodworking industry, as well as its needs. We headed home with exciting ideas and new connections to pursue. Wherever your location across the globe, we're confident that by IWF 2020 you'll have seen us around.